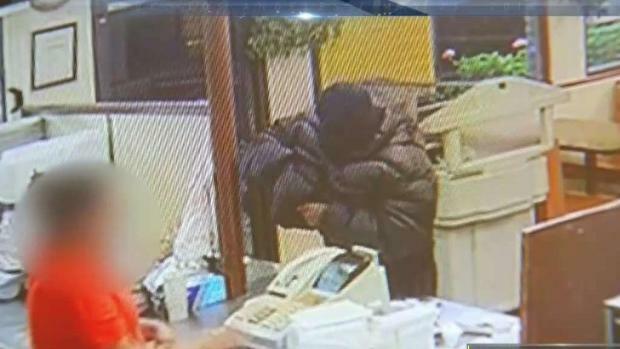 A 60-year-old man in Santa Ana was robbing a restaurant early Saturday morning and taking cash from the register when a second man at the drive-thru window took out a gun, started shooting and struck the robbery suspect. The robbery suspect was shot twice in the upper torso area according to the Santa Ana Police Department, and the shooting suspect drove off. No description of the shooting suspect was immediately available. After the chaotic scene, the robber did not get far and collapsed outside the Cozy Corner Drive-In, where the shooting took place. Police took the robbery suspect, who was also a shooting victim, to a nearby hospital, where he remained on Saturday being treated for gunshot wounds. The shooter was alone in a silver sedan, according to restaurant employees and the surveillance video that caught the unbelievable exchange. 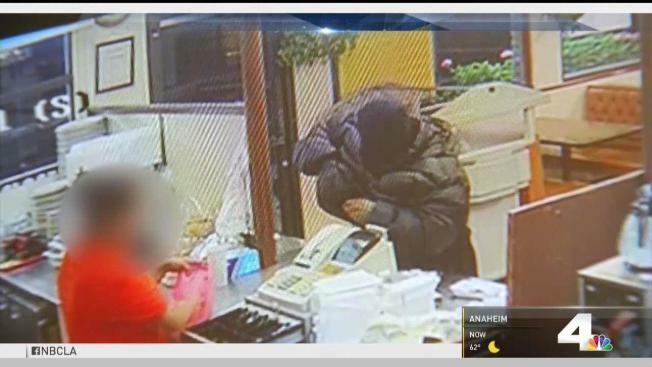 A man at the drive-thru window shot a man that was robbing a restaurant in Santa Ana. Jane Yamamoto reports for the NBC4 News at 6 p.m.
On Saturday afternoon, the restaurant was open for business even with fresh gunshot holes visible in the glass, wood counter and even the register. The staff, understandably, was still shaken up. The restaurant's manager, Francisco Reyno, says he's just happy that none of his employees were hurt and that the stolen money was immediately recovered. What was the amount that caused all this trouble?